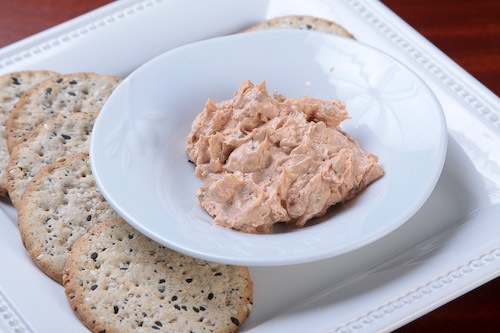 Everyone love a good dip, especially when it’s accompanied by a good cracker. Here in Washington, DC the Inauguration was a long weekend, full of parties. 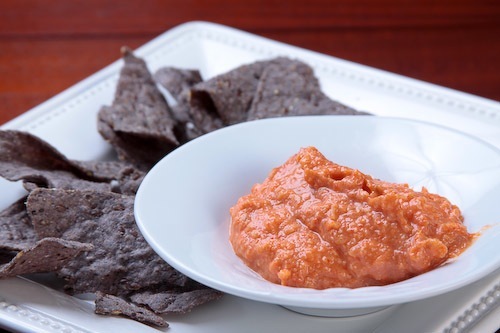 For our “Inaugural Ball,” we made an assortment of dips – hummus, sundried tomato, black bean, and roasted red pepper. You can find our recipe for hummus here, the others are below. Happy dipping! Puree the tomatoes, cream cheese, sour cream, mayonnaise, Tabasco sauce, salt and pepper in a food processor fitted with a metal blade. Mash 1/4 of the black beans in a small sauce pan. Stir in salsa, ground cumin and remaining whole beans. Bring mixture to a simmer over medium heat, and cook for 3 minutes, stirring frequently. Stir in cheese, cilantro and lime juice, and cook mixture over medium heat until cheese melts, stirring frequently. Serve warm or at room temperature with tortilla chips. Grease a large glass baking dish with 1 tablespoon of the oil. Add the onion, bell peppers, tomatoes, garlic and jalapeno to the baking dish. Sprinkle with the salt and ground peppercorns, drizzle with the remaining 2 tablespoons of oil and toss to coat. Roast the vegetables until they are soft and brown, about 1 hour, stirring every 15 minutes. Transfer the vegetables to a blender along with the cream and process until smooth. Pour the puree into a medium saucepan and bring to a simmer. Reduce heat to medium, add the cheese, and cook until it starts to melt, 1 to 2 minutes. Turn off the heat. Taste and adjust the salt if necessary. Serve warm with tortilla chips. They all look so good. Which one was your favorite? Great pictures. Thanks! Good question Helene. The Black Bean Dip went the fastest, but I think the Red Pepper dip was my favorite.